Home / SkinCare / Olverum Bath Oil. Olverum bath oil is a luxury multi-beneficial product that is a must-have for anyone's bath time routine. Olverum was originally created in 1931 by Franz Otto Klein, who developed an interest in the beneficial properties of natural essential oils. Two years of research and experimentation, the bath oil he developed contained extracts from 10 aromatic plants that individually own therapeutic properties, but also work synergistically together to accomplish more than they could alone for you to experience the benefits. The cult product known in the UK is relaunched under new ownership and has been re-packaged beautifully still containing the secret formula loved for over eight decades. Olverum is a unique and highly concentrated, therapeutic bath oil which contains 10 pure essential oils: Eucalyptus, Lavender, Juniper, Lavandin, Lemon Peel, Siberian Fir Needle, Exotic Verbena, Lime, Geranium And Rosemary. 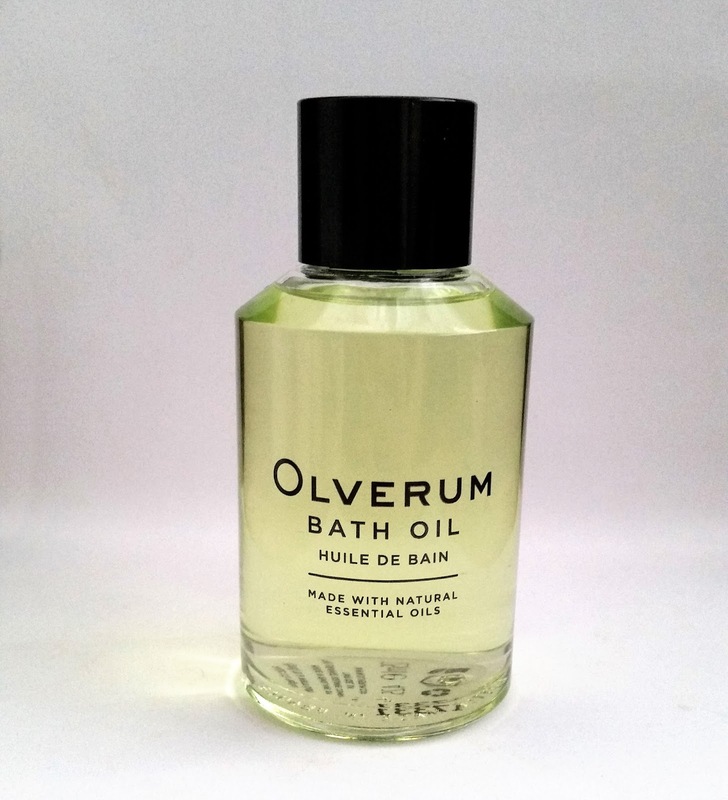 Adding the Olverum bath oil to your own bath can be an effective way to relieve stress and aid a great nights sleep, great for people who lead busy lifestyles, work in stressful environments and for those who cant sleep. The therapeutic bath oil is also a natural but effective method to ease aching and sore muscles (Great After Exercise), whilst also soothing and relieving symptoms from a cold and flu (Hallelujah). Free from artificial colours and preservatives, whilst also not tested on animals, the Olverum bath oil possesses a heavenly aromatic unisex scent. Deep Relaxation And Stress Relief - Inhaling the aromatic vapours deeply will help relieve stress and aid relaxation. Soothes Aches And Pains - Olverum stimulates the circulation that helps bring quick relief to any aching muscles and joints. Beautiful Soft Skin - The light non-greasy oil is easily absorbed in the skin re-balancing dry skin to help skin feel soft and smooth. The Olverum bath oil helps ease stress and relax tension to help you recover from when your feeling mentally and physically depleted, bringing you back to your complete and natural self. To begin your experience you add approximately 1/3 capful (5ml) to a warm bath, dispersing the oil with your hand.The natural essential oils fill the bathroom with their unique scents to take your senses on a relaxation journey whilst unwinding the busiest of minds. Tired sore muscles are soothed to relieve any discomfort and are immediately relaxed to help you face any day-to-day activities or prepare them for stretching and your next workout. The 125ml size is priced £29.00 and provides enough for 25 baths, the 250ml size will be £53 and enough for 50 baths. The travel set is £19 and enough for 9 baths. Olverum's main stockists are Liberty, Conran, Harvey Nichols and Fenwick, you can also check out the Olverum website to find out more about this luxury bath oil to purchase. X Neil.